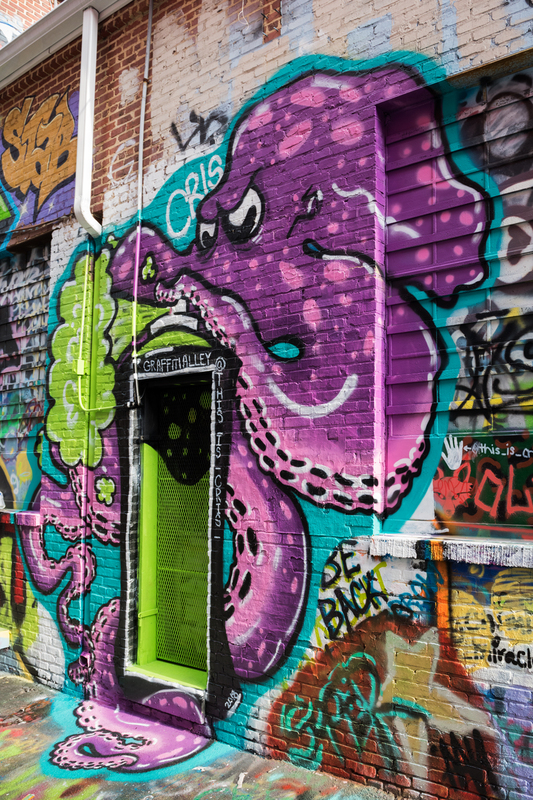 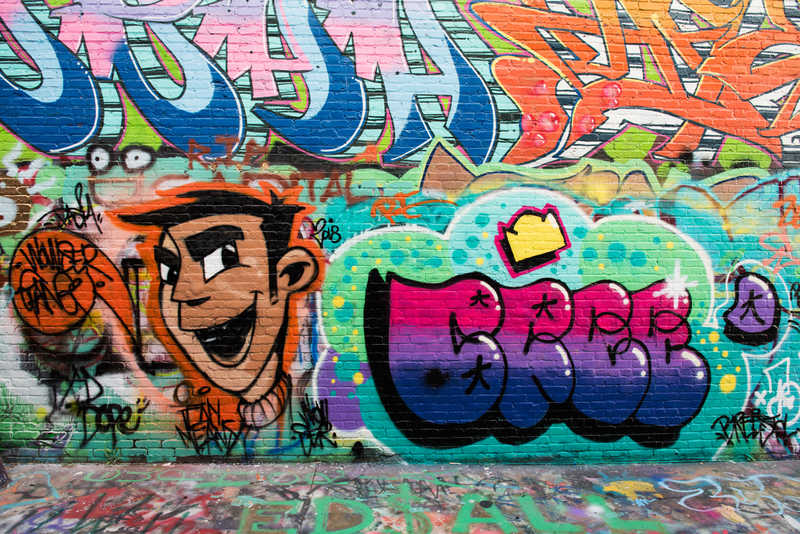 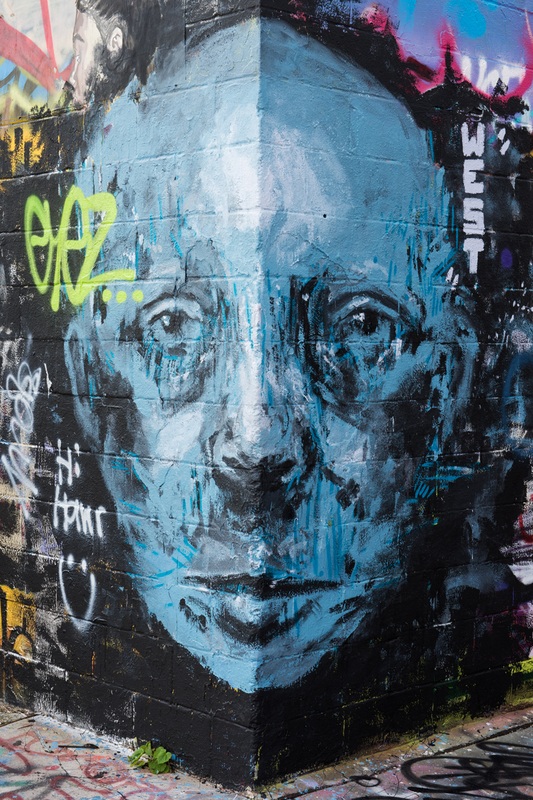 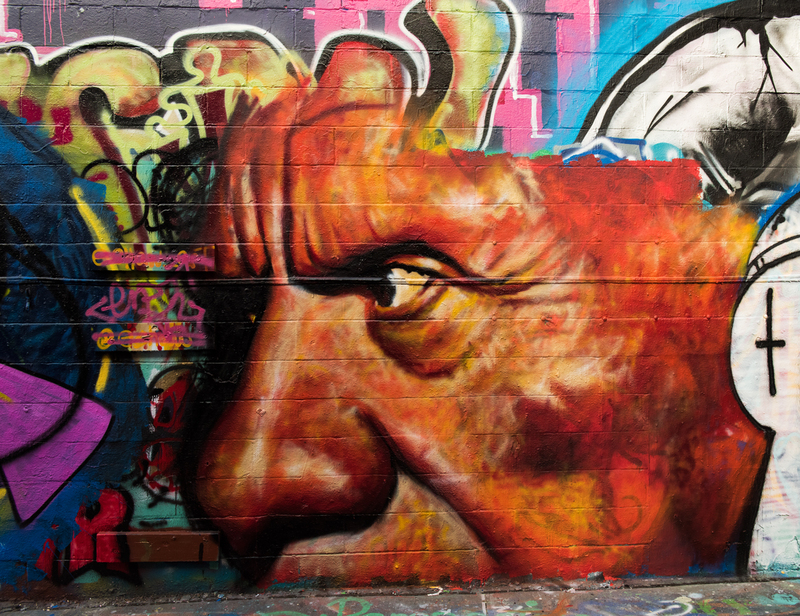 The flurry of incredible artwork in Graffiti Alley continued unabated this month. 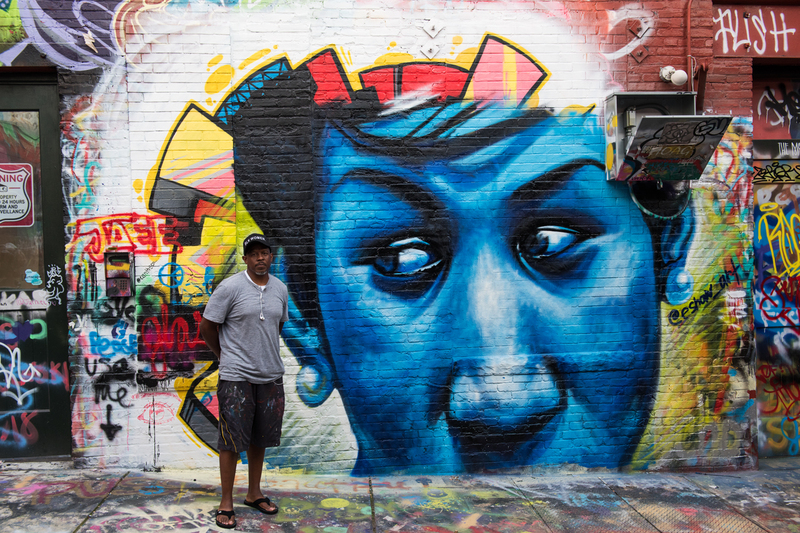 Ernest Shaw Jr. painted a stunning tribute to Aretha Franklin, the Queen of Soul, and to John Coltrane, the ever remarkable jazz saxophonist. 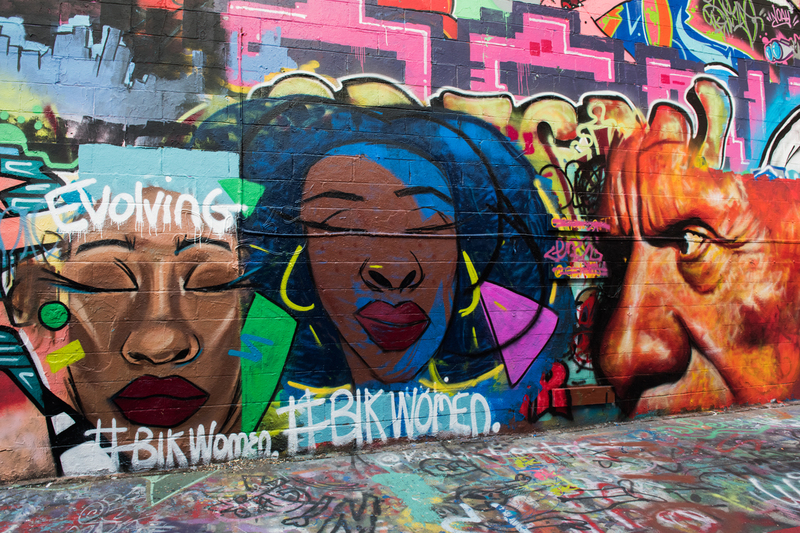 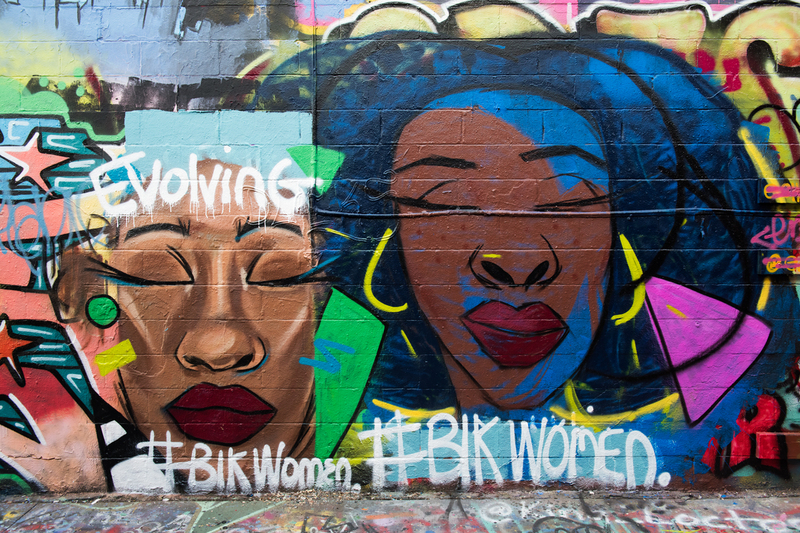 Megan Lewis created two more beautiful murals in her #blkwomen series next to which Ernest painted a stern-looking portrait of Pablo Picasso. 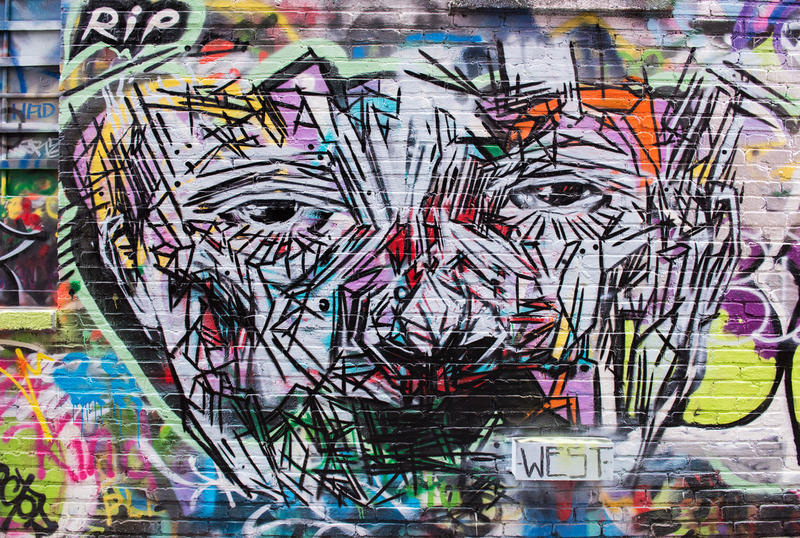 West fashioned a dope 3D face peering out of a corner wall … as well as another one of signature fractured-mirror portraits. 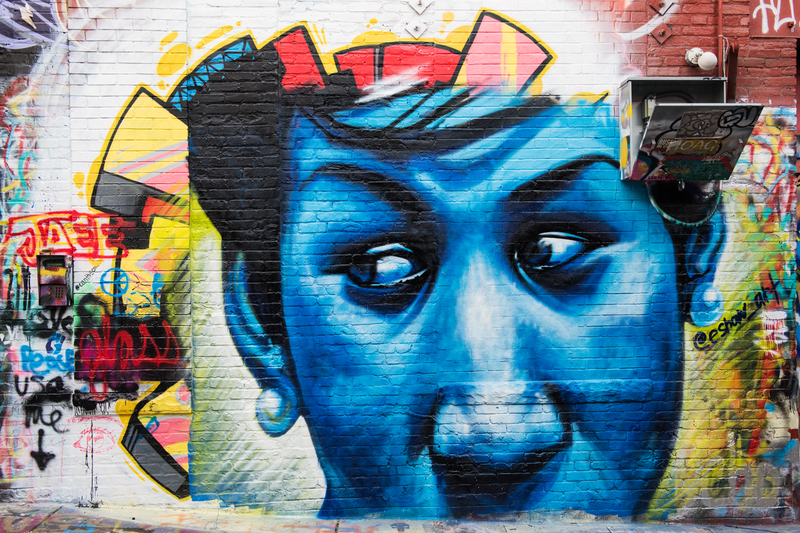 Aretha Franklin by Ernest Shaw, Jr.
EMPH claimed this spot was his, but Ernest Shaw set him straight. 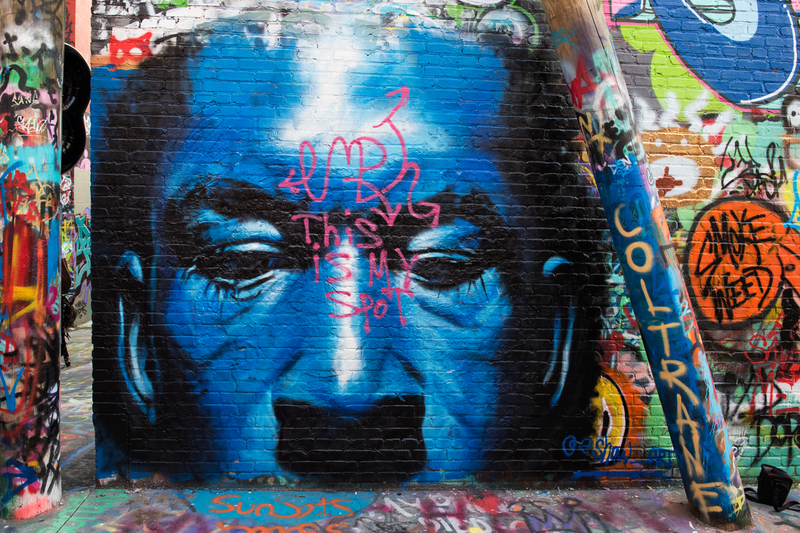 Blue Trane by Ernest Shaw, Jr.
Megan Lewis and Ernest Shaw, Jr.
Pablo Picasso by Ernest Shaw, Jr.
Reed Bmore sculpted a delightful piece featuring a young girl holding an ice cream while swinging on a rainbow sprinkle-coated donut. 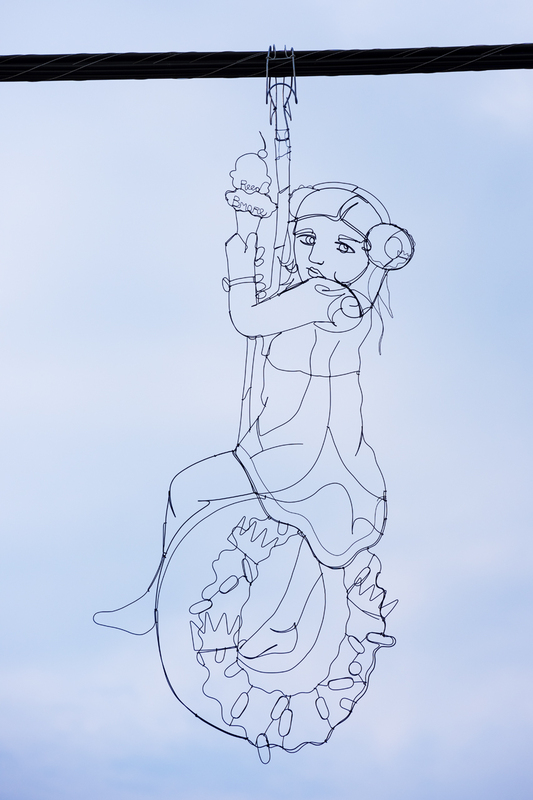 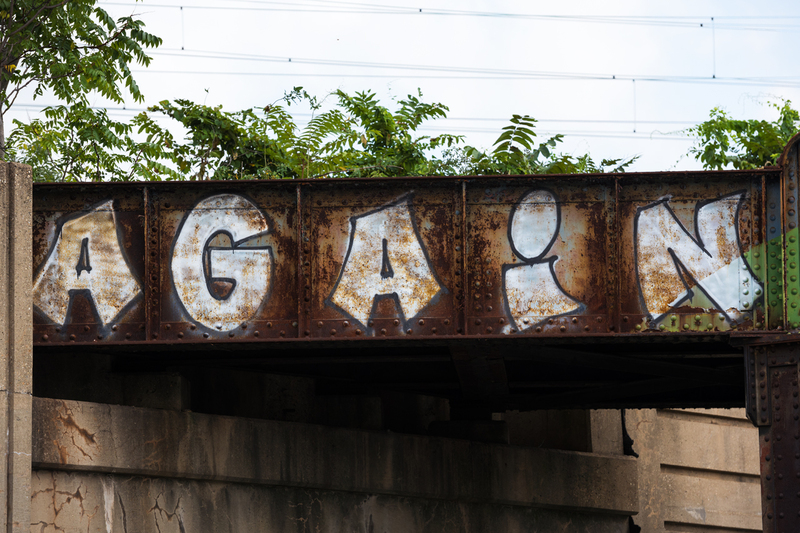 It had such a nostalgic feel to it, you could imagine hearing joyful voices singing In the Good Old Summertime. 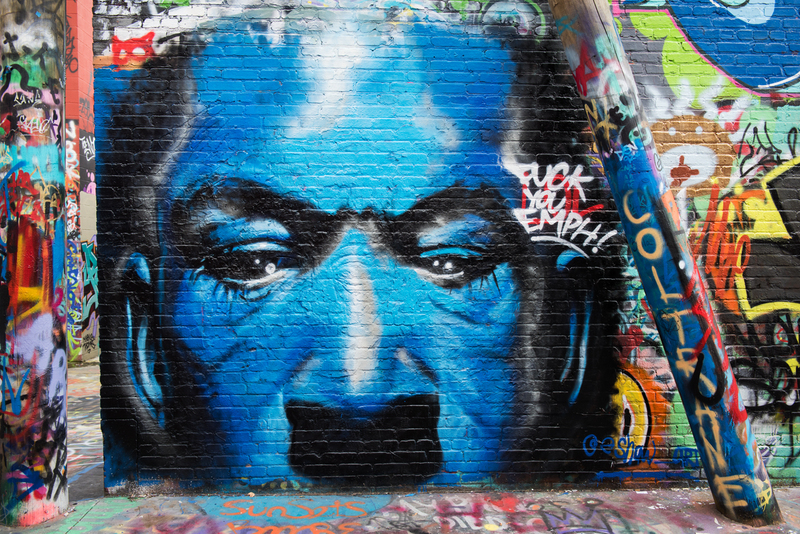 Nether first came to prominence with his wheatpastes due in equal parts to their artistry, beauty, and social commentary. 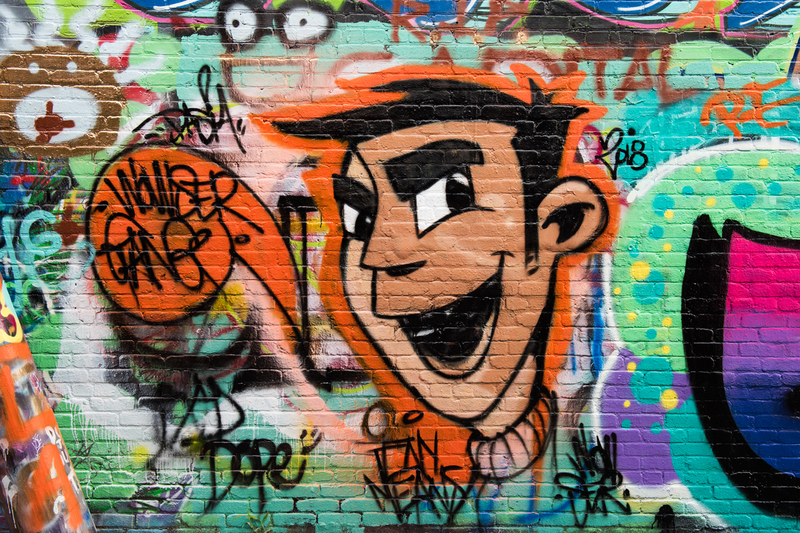 I miss seeing the likes of his Sno-Cone Kid, the We Are the Future schoolchild, and the young girl with an endearing smile and school backpack. 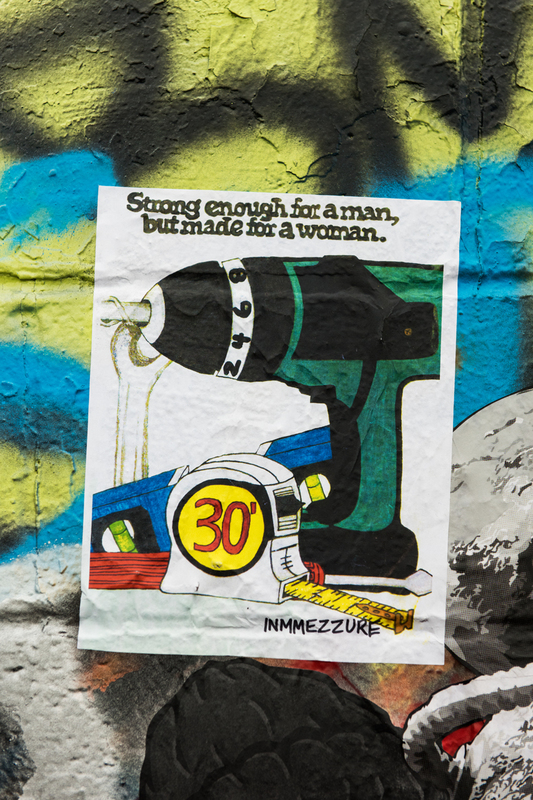 Thus, I was very pleased to see his dope new wheatpaste rocking a spot his wheatpastes regularly enlivened a few years ago. 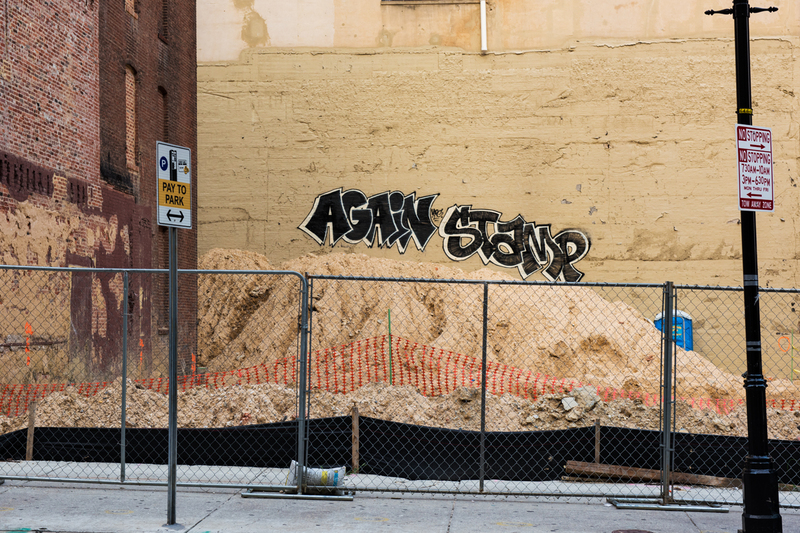 I can hardly wait to see his next artwork. 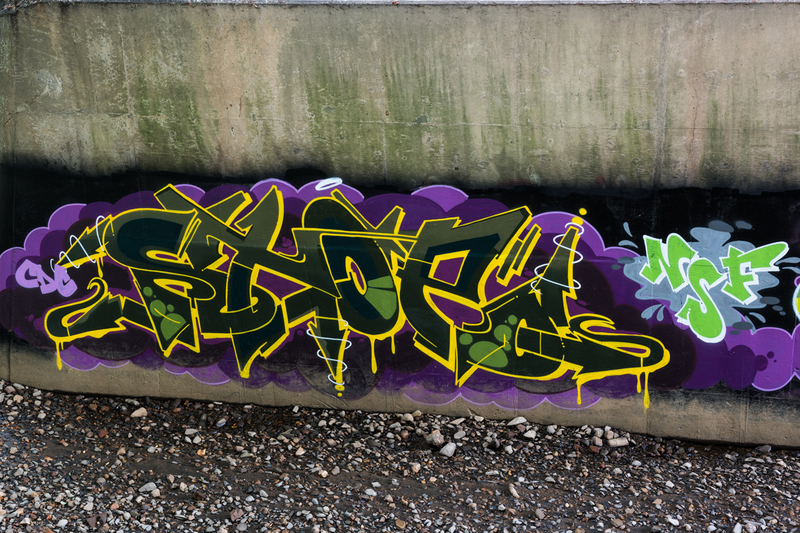 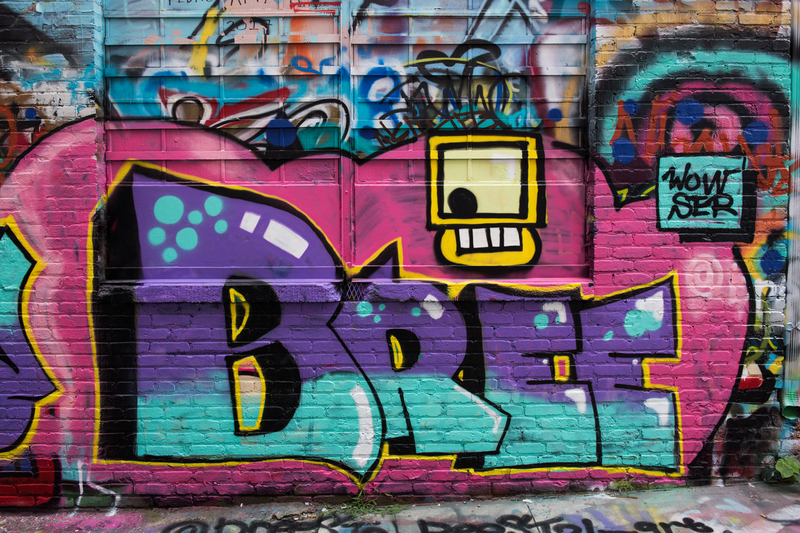 By the way, check out the video @globalstreetart filmed of Nether’s recent trip to London. 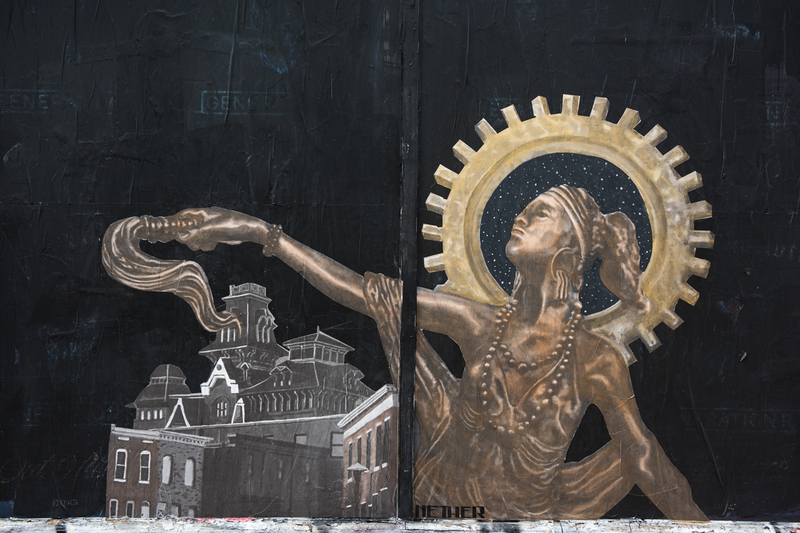 On North Avenue near Red Emma’s Bookstore Coffeehouse the artist @123reconnect has created an intriguing animated triptych entitled So Many Lies. 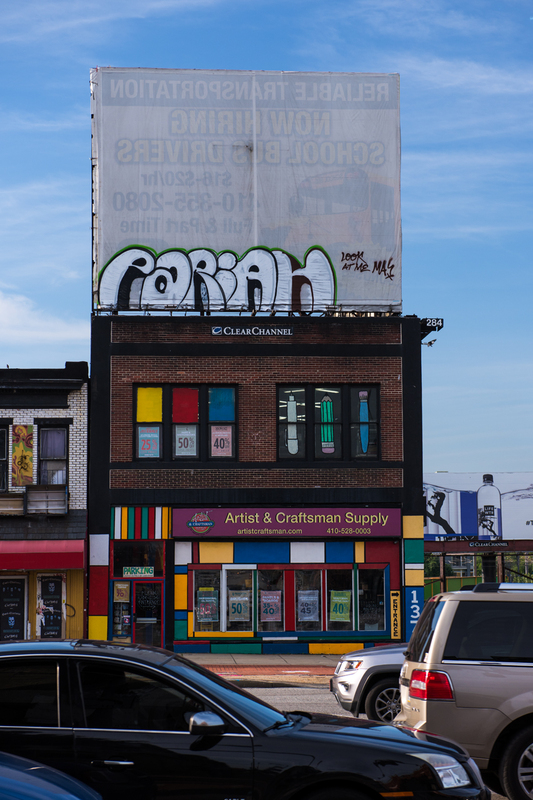 On Greenwood Avenue you can see the ginormous cellphone he has painted. 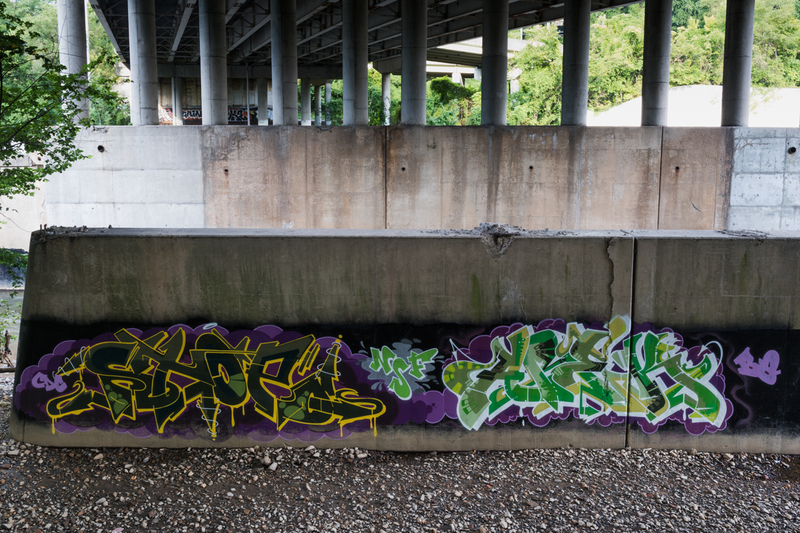 Rain-slick concrete and sore knees precluded capturing Stoe and Arek up close; thus, the view from above of their recent side-by-side pieces. 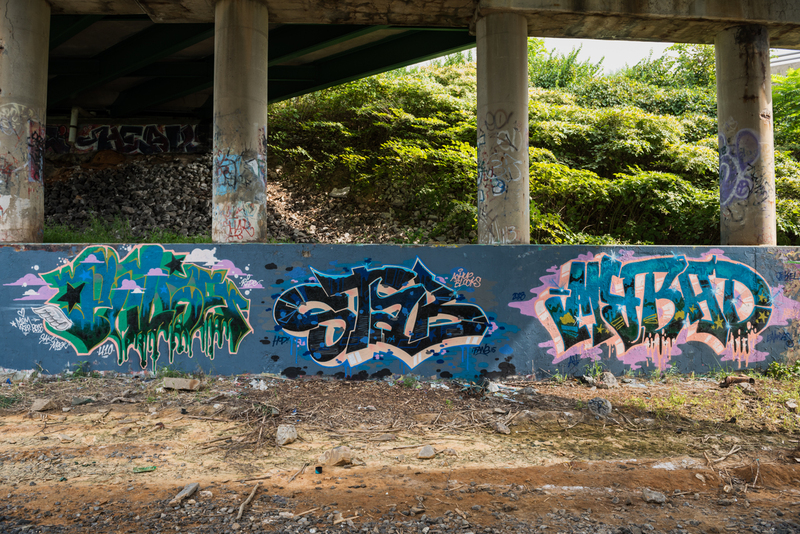 This spectacular trackside trio features Pulse, Stab and Mybad. 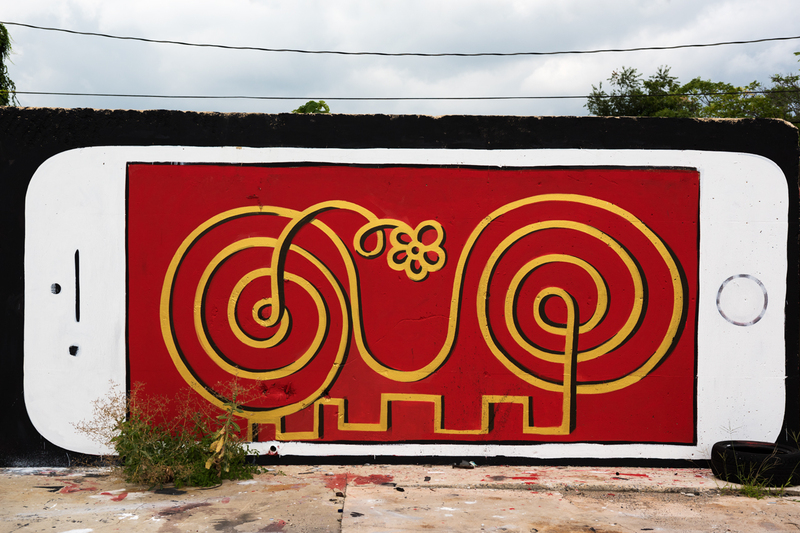 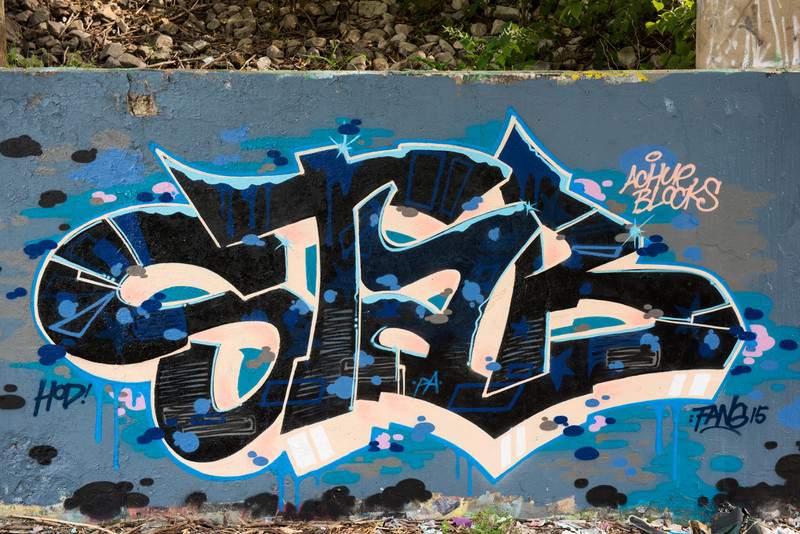 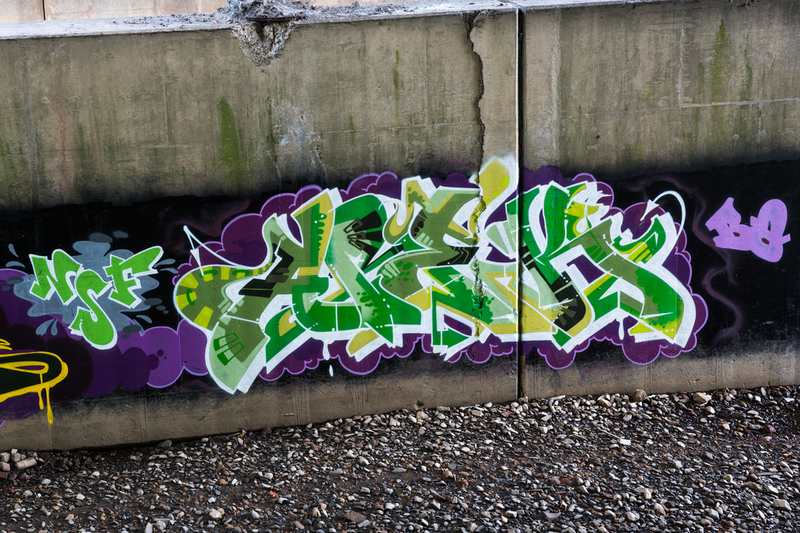 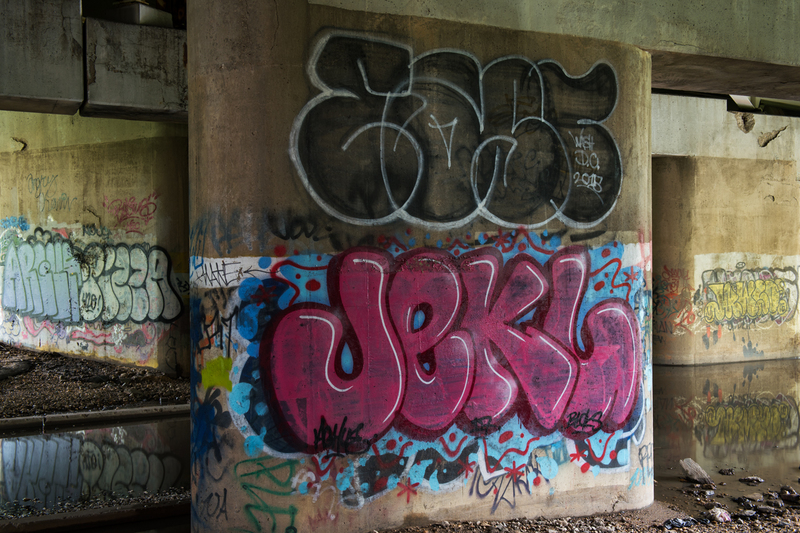 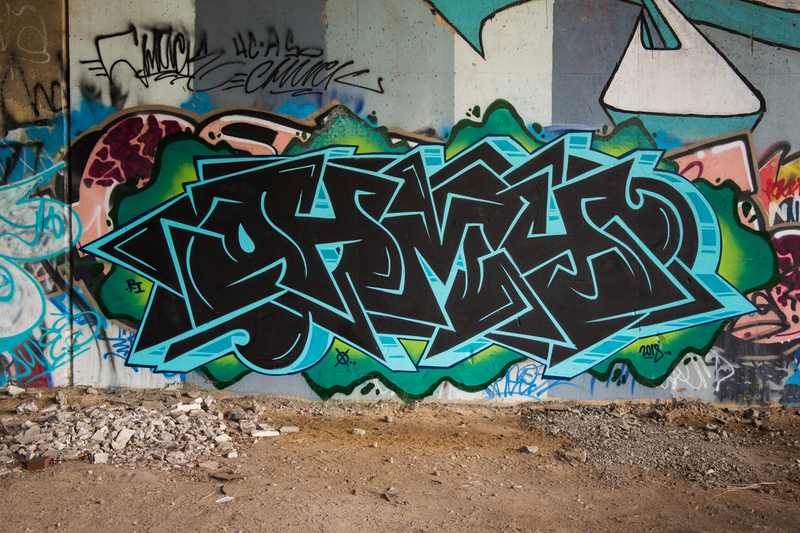 Venturing belowground I came across Areko – a dope hybrid collaboration between Arek and Reko; stunning burners by visiting New England writers Tenk, Dwel and Ohmy; a candy red throw by Jekl; and, an eye-popping Rowler. 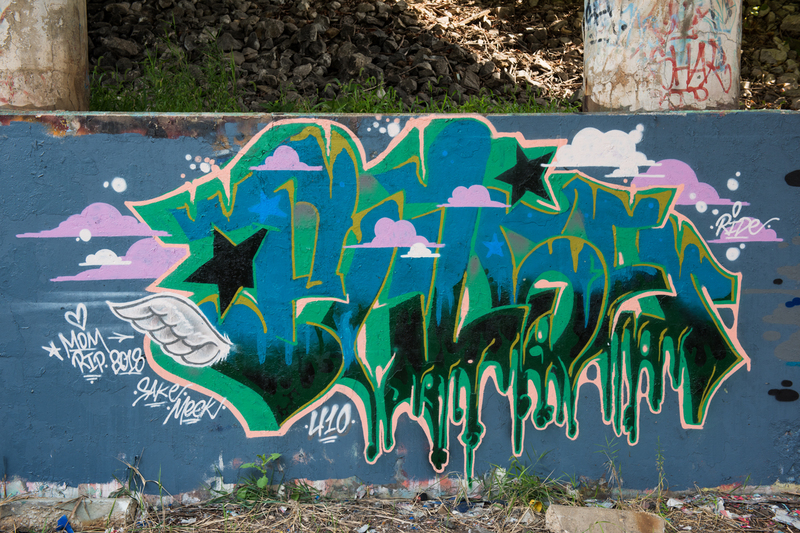 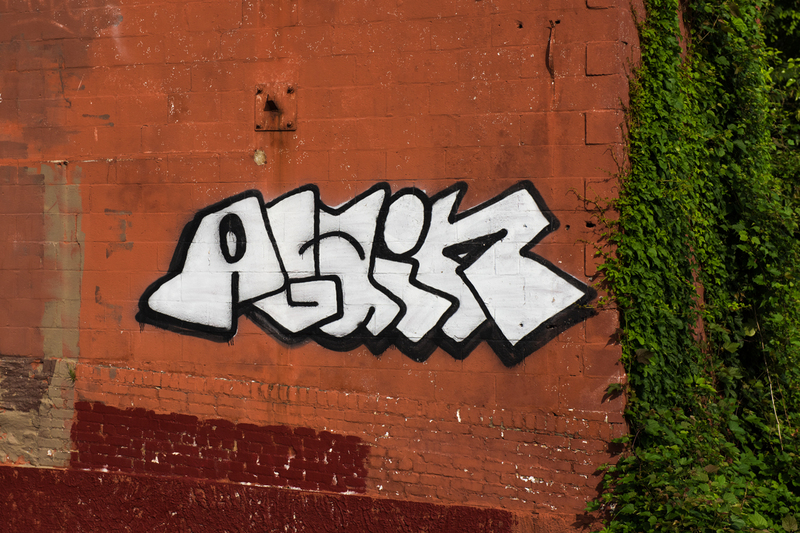 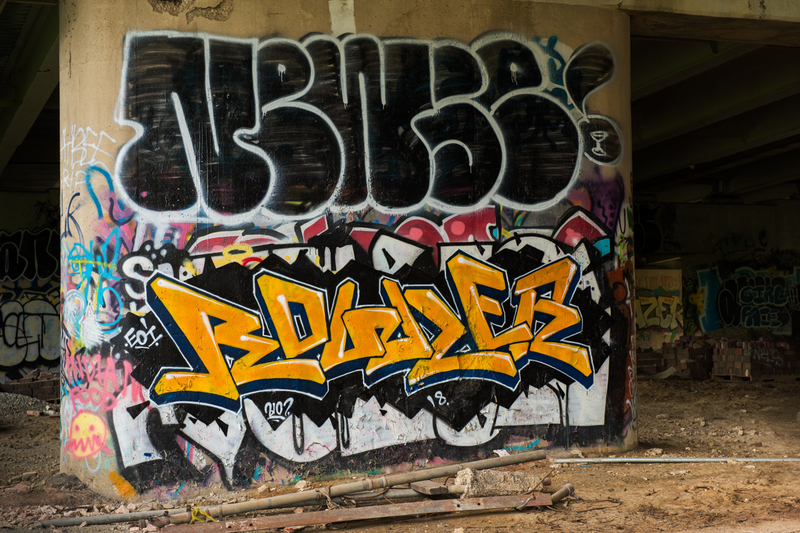 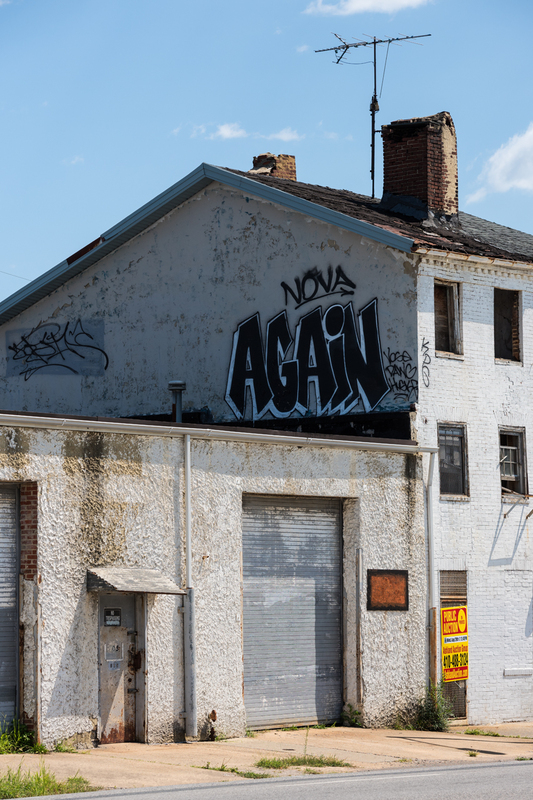 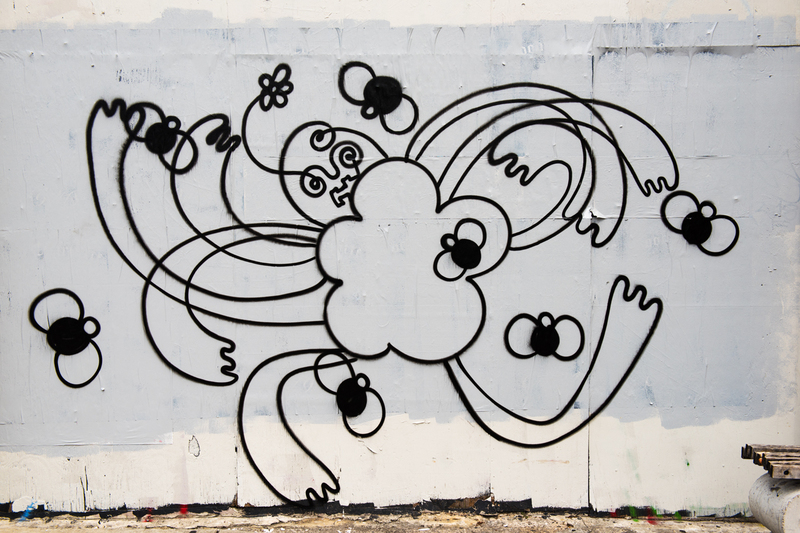 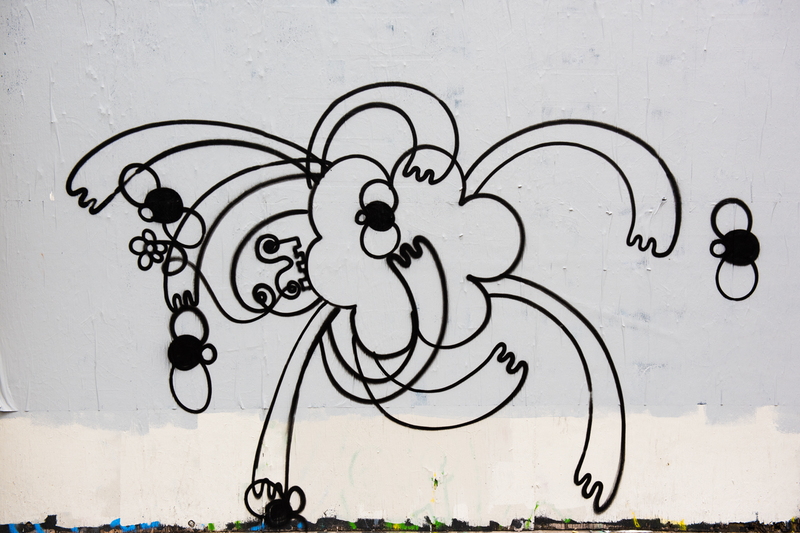 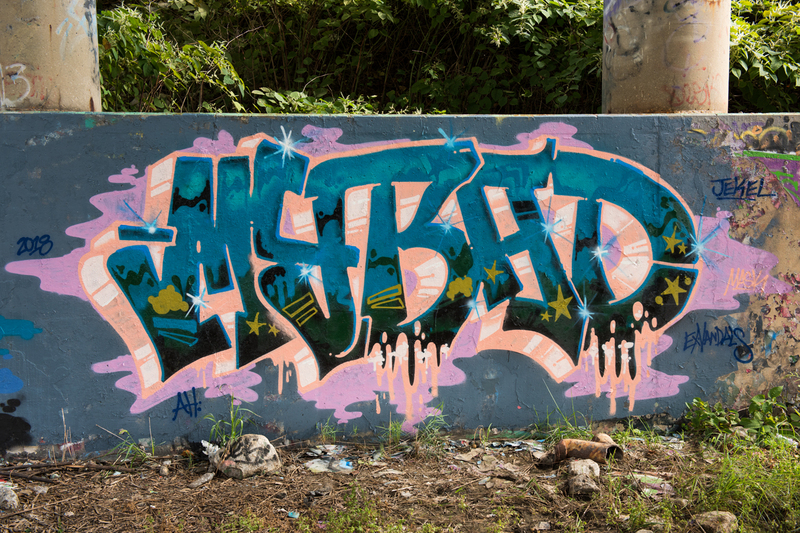 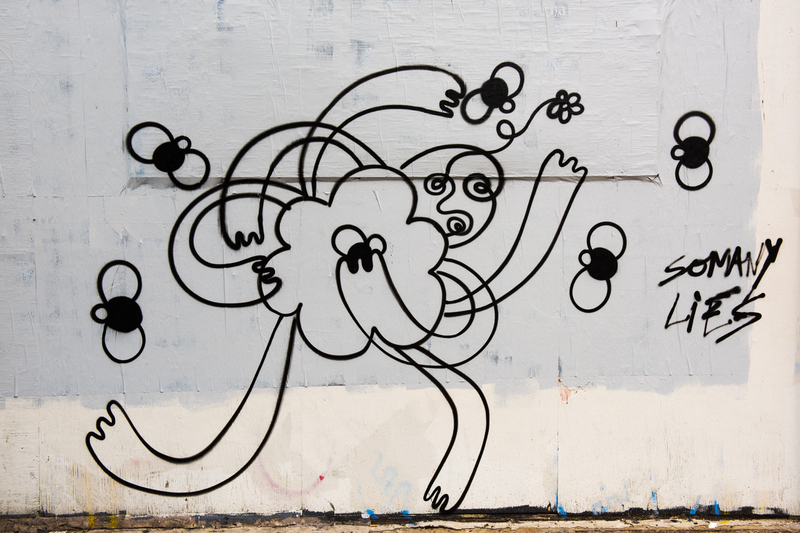 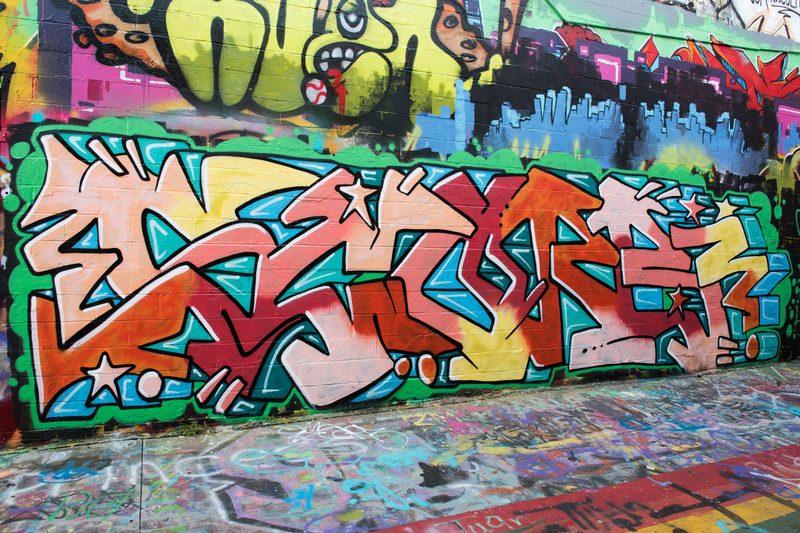 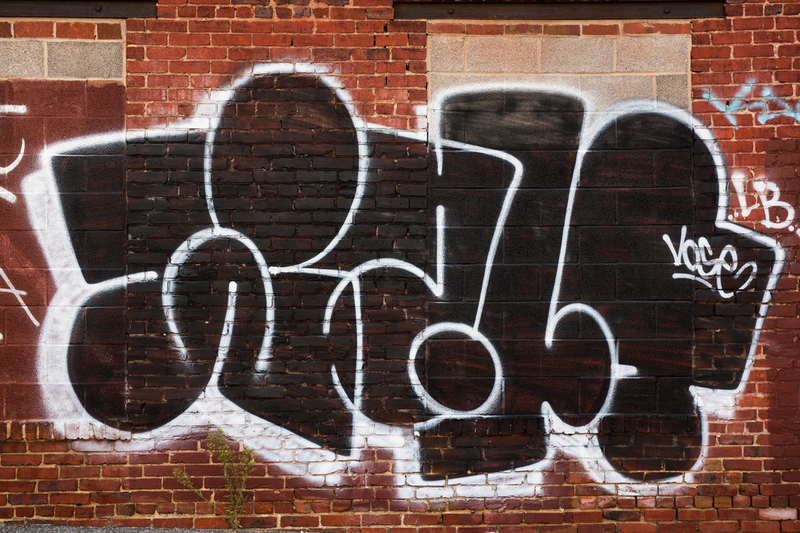 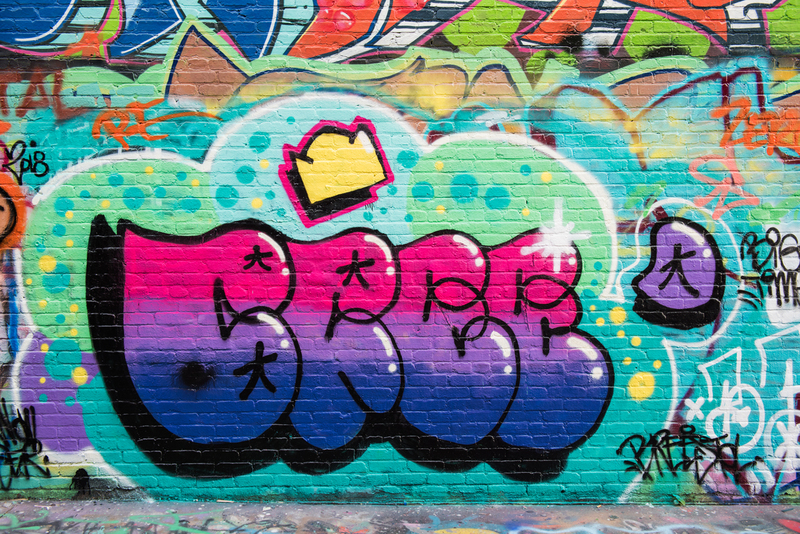 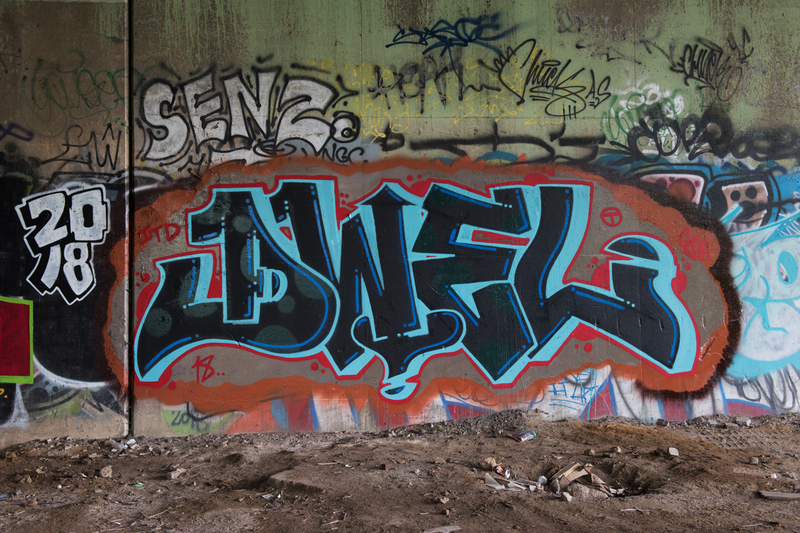 Again is the Energizer Bunny of Bmore graff writers … he keeps on going everywhere. 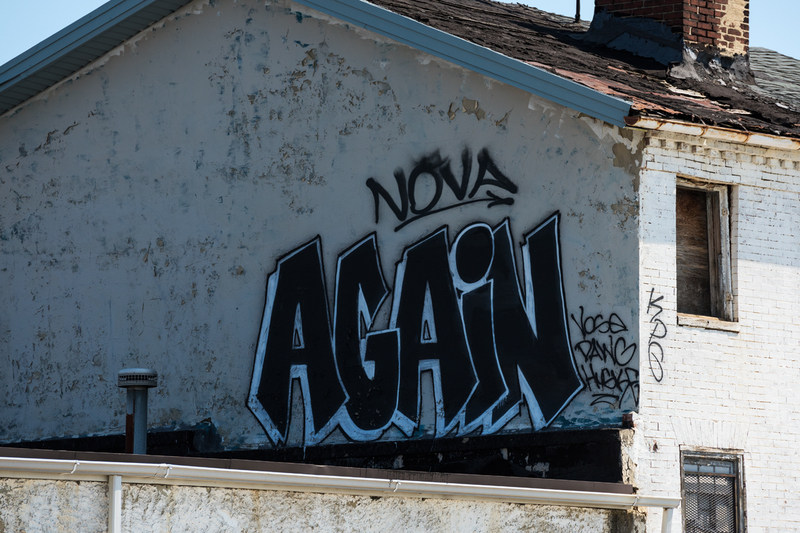 Pariah shouted Look at me Ma from atop the heights of Station North Arts District. 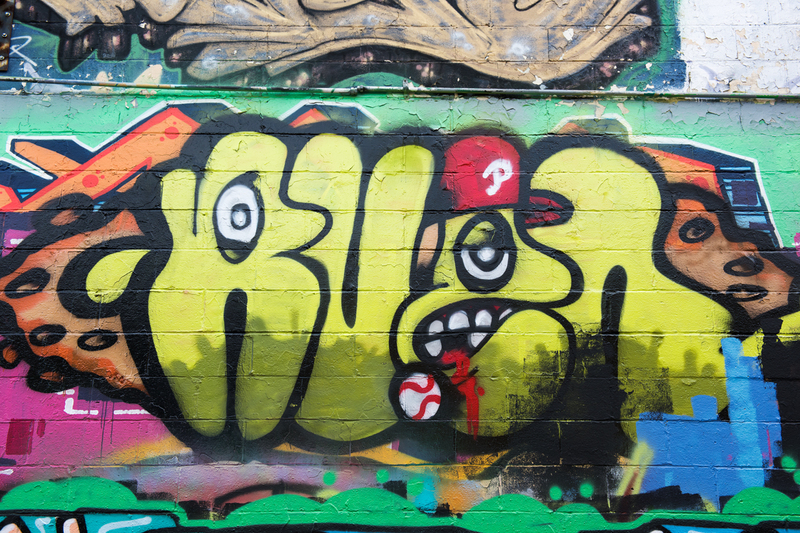 Initially thought I was in Lower Manhattan’s renowned Freeman Alley, but nope I was in Bmore’s Grafitti Alley. 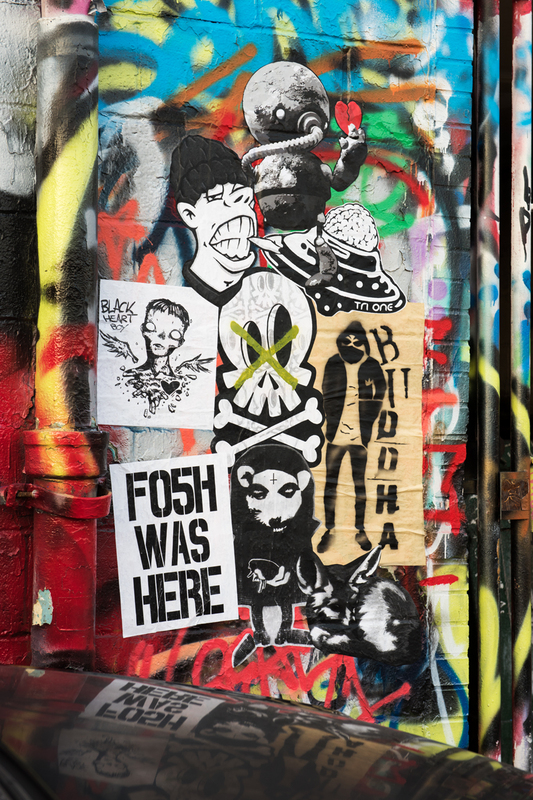 There I found this impressive collection of wheatpastes by Covert, Tsmoke, Tri One, GoodLuckBuddha, Rockin Bones, Blackheart.boy, Fo5h, Ratanic, Bruno Stpla, and Inmmezzure. 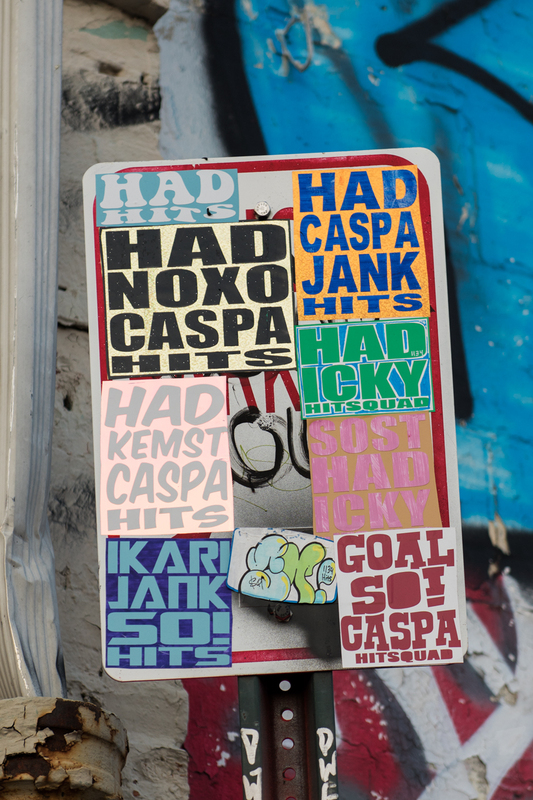 Right nearby was a number of colorful slaps. 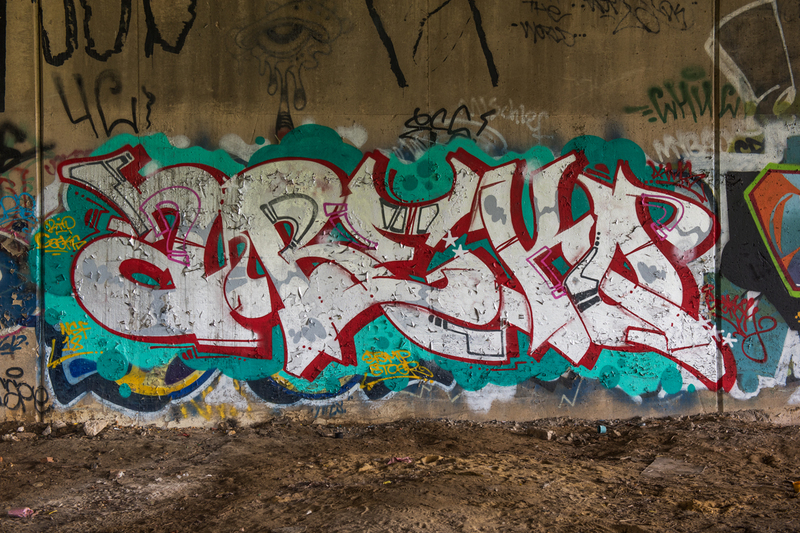 Userp and Walt demonstrated more of their eye-popping magic in Station North. 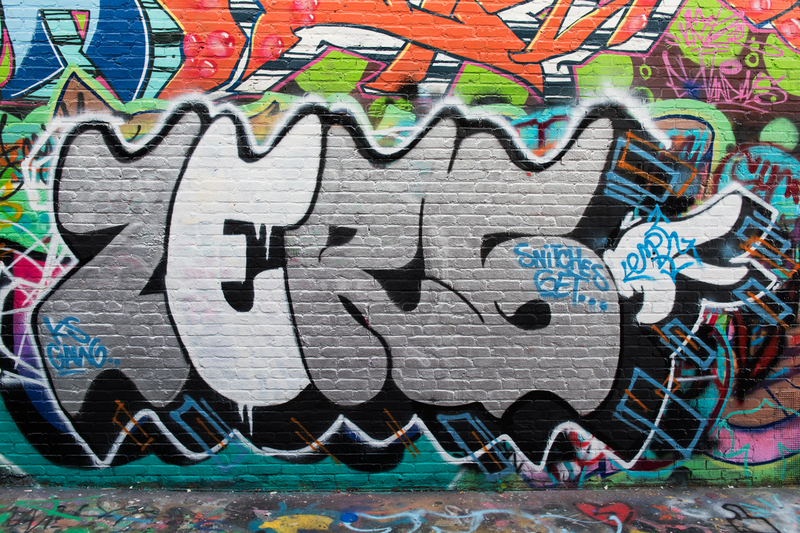 Ruen, Zerg, Eny Means, BreestolPeestol, Smoke, and Cris each contributed to the Graffit Alley gallery.